Selling is a very important aspect of any business. It may even be the most important skill a businessman ought to have. In fact experts would advise anyone wanting to start a business to think about selling the product first before going ahead with a venture. If you know how to sell your product then you’ll probably succeed in business. Sales is the lifeblood of any business and businessmen and women know it. No matter how good your product is, if you cannot sell it to prospective customers, it’s worthless. That’s why selling is a skill that ought to be rewarded. And if you believe your selling skill is one of your assets, you may as well cash in on that ability. There are many opportunities that await those who are willing to work to sell. The only question is whether or not you have the determination to do it. One of the popular mode of business nowadays is home-based dealership. It’s simply selling products to customers from the comfort of your own home. This setup is ideal for stay-at-home mothers and fathers who have time to spare to earn money. And why not? If the product you’re selling is proven to be of good quality worth the price it is selling, much of the work needed has already been accomplished. Products you use yourself – You must be able to prove the effectiveness and quality of the product you’re selling. What better way to do this than to use the product yourself and find out. People you deal with - your network – Considering the lifestyle of people you deal with on a daily basis may bring more sales than any other factors. For example, if you are in a community with young women who buys cosmetics, you may want to sell those products. Your location and environment – We all know that location is a key to business success. With home-based selling, you should consider the people you can reach so that you can maximize your sales potential. What are their needs and wants? Here’s a list of direct selling businesses that you may consider if you think this type of business is for you. 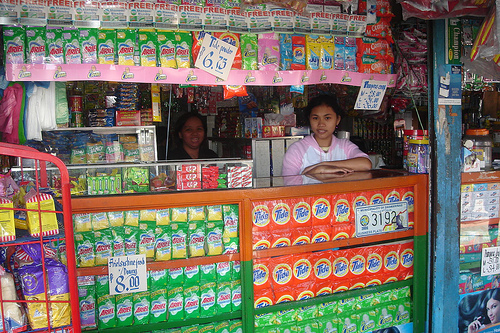 These businesses are members of the Direct Selling Association of the Philippines. Also included in the list are some basic information regarding the business that prospective investors may find useful. Address: Unit 501-511, 5th Floor Building F.
New Image International F.E. (Phils. ), Inc.
Business:Food Supplement and Health Care Prod. Address:15th Floor, Octagon Center San Miguel Ave. Address:Garden Deck 1 and 2 Pacific Center Bldg.